Journey to new adventures at Naper Settlement! Connect with history and make your own adventure! Who knew that earning a badge could be so much fun? 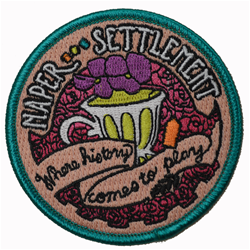 Naper Settlement offers fun events and programs for Girl Scouts to work toward badges or patches throughout the year. Check out our Girl Scout programs here. Cub Scouts can earn patches as they learn and have fun in our 12 acres of history! Check out our Cub Scout programs here. Welcome warmer weather and shake off cabin fever during Naper Settlement's annual tribute to the changing seasons Explore the museum's historic buildings, talk with costumed interpreters, create a fun Spring craft, and learn how to build teamwork with your troops! Scouts receive a fun patch in honor of this event. Program is suitable for Cub Scouts and Girl Scouts of all ages. 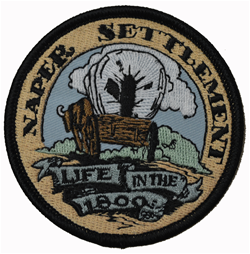 Daisies, Brownies and Juniors visit Naper Settlement for this badge earning bonanza. Pick up your Badge-in-a-Bag at check in, visit the stations, tour the buildings, play games and earn your Petal or Badge. All Girl Scouts attending 2019 special events MUST register through their Council to receive discounted admission. Register for this program through the Greater Chicago and Northwest Indiana Council website or contact the Girl Scouts of Northern Illinois Registrar.